Where is the best place to find a stallion? It has to be Tulloch Lodge of course. Gai has trained 28 horses to date that have gone on to have stud careers. However Gai regularly declares that she buys racehorses first and foremost. 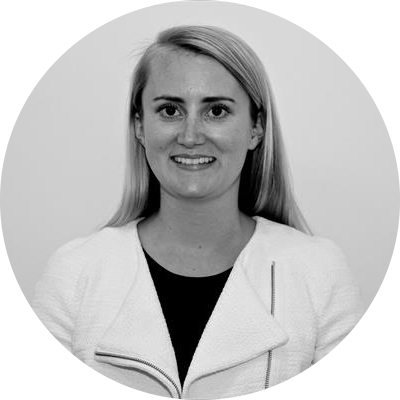 She buys horses that will succeed on the track, then if things go well, a colt can become an entire and be sought after by the Australian breeding industry. Gai’s formula for colts stays the same today as the day the Lady Trainer got her licence. 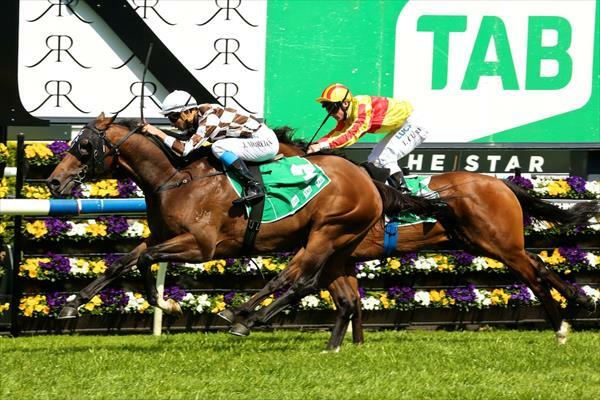 Gai wants her colts to be up and running by the Breeders’ Plate in October. They might not all run in this race, but Gai endeavours to have them ready to run. Then if they are eligible, good enough and fit enough, they head to the Gold Coast. Then a spell before being aimed at the autumn riches. It is a pretty successful formula. But it is not just two-year-old stars that have gone on to go to stud after their time with the Lady Trainer. There are stallions currently at stud that won at all ages in a great deal of different Stakes races all over Australia that were all trained by Gai. Here is a brief description of the 28 horses that either are currently at stud or have in the past been at stud that were trained by Gai. I liked Wandjina from the moment I laid eyes on him at Arrowfield Stud in 2012, and who wouldn’t when less than two months later he realised $1 million in the Inglis Easter Sale ring. Knocked down to James Harron Bloodstock for Edmund and Belinda Bateman the colt, soon to be named Wandjina after aboriginal cloud and rain spirits, was on his way to Tulloch Lodge. 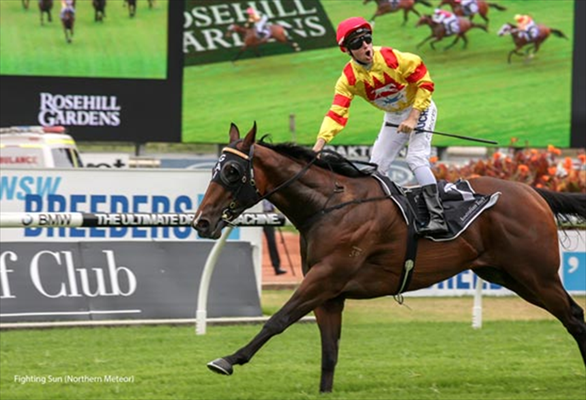 With the physique of a two-year-old and stacks of natural ability he broke his maiden before being beaten by very short margins in two Golden Slipper lead ups. As a three year old, to my amazement, he had developed and matured further, growing into the most glorious looking colt. Wandjina’s critics were muted as he stormed down the outside of the field in the Group 1 Caulfield Guineas, inching ever closer to eventual winner, Shooting to Win, with every stride. He finished third that day beaten a little over a length. When he finished three and a half lengths behind the older horses in Australia’s greatest weight for age race, the Cox Plate, I knew his Group 1 win was only around the corner. Wandjina won the Group 3 CS Hayes Stakes and the Group 1 Australian Guineas with gritty determination, in the style of a champion racehorse. His final start on Australian turf was in the Group 1 All Aged Stakes. He jumped and led before being headed in the straight by multiple Group 1 winner, Dissident but my young colt (Sebring), Wandjina would not give up without a fight, battling all the way to the line only to go down by the shortest of margins. Wandjina had earned his ticket to the most prestigious racing carnival in the world, Royal Ascot. Once again putting in a tremendous effort, Wandjina gave us all such a thrill as we watched him gallop down the Ascot straight and this great colt had earned his place at Newgate Stud. On 11 October 2014, Hampton Court won the Group 1 Spring Champion Stakes. The colt won the race in the officially recorded time of 2.00.30. This is the fastest time ever recorded (metric era) for 2000m at Royal Randwick. Think about every Spring Champion winner, every Queen Elizabeth winner plus the hundreds and hundreds of other winners over the famous 2000m at Sydney’s racing headquarters. Lonhro, Might And Power, Desert War, Grand Armee, Tie The Knot, More Joyous and It’s A Dundeel just to name a few. All of these champions won Group 1 races over 2000m at Randwick and none won their respective races in faster time than Hampton Court did in 2014. This colt was bred to be a stallion. He is by the champion sire of our era (Redoute’s Choice) and from the female family of the great Makybe Diva. He is a recording breaking Group 1 winner and his progeny which will thrive at the mile and beyond, can’t get to Tulloch Lodge quick enough. Hampton Court stands at Spendthrift Australia in Victoria. We may not have seen the best of this stallion on the race track. He won his first three starts before narrowly being defeated by the then unbeaten It’s A Dundeel in the Spring Champion Stakes. The colt was then taken to Melbourne for the Cox Plate where he was far from disgraced. As an autumn three-year-old Proisir only had two starts and it took Pierro and It’s A Dundeel to beat him on these two occasions. 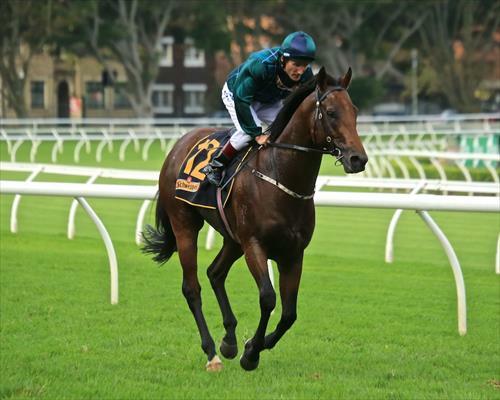 By the versatile sire Choisir and out of a six time winning Encosta De Lago mare named Prophet Jewel, Proisir will sire horses capable of winning at two that will get better and better as they get towards the mile. 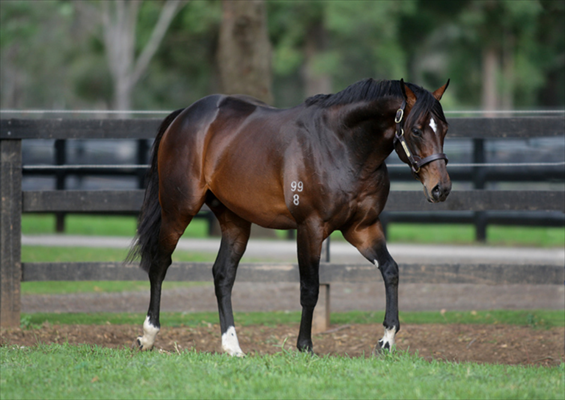 He certainly was a brilliant racehorse that had his career cut short, however he has now settled into Rich Hill Stud in New Zealand and looks set for a long career at stud alongside Melbourne Cup winner Shocking, champion Kiwi colt Jimmy Choux and the evergreen and brilliant stallion Pentire. In winning the Breeders’ Plate in 2012, Whittington joined the likes of fellow sires Sebring, Pierro, Choisir, Charge Foward, Snitzel and Smart Missile as victors of this illustrious race. Gai has long said that the Breeders’ Plate is a stallion making race; Gai has won the last four in a row, and none of these winners, including Vancouver and Pierro were as impressive as Whittington was when conquering this time honoured race. The son of Tale Of The Cat was clearly an early runner and he looks a stallion that will produce early runners. However Whittington certainly was not a one trick pony. As a three-year-old, Whittington returned to his best on Magic Millions day and created a new track-record of 1.01.77 against older horses in the Magic Millions Sprint (1100m). With Northern Dancer on both sides of his pedigree together with a dam’s side littered with names like ‘Danzig and ‘Secretariat,’ Whittington certainly has blood to go with the bone. 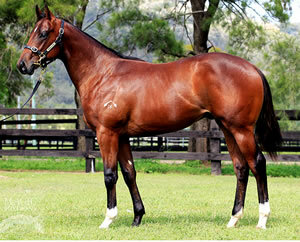 The colt was fast, he was tenacious and he is the ideal stallion for the Queensland market. Whittington stands at Grandview Stud in Queensland. Once Gai got the famous feet of Carlton House right, the stallion had just three starts. Yes he had two other starts under the Gai Waterhouse banner, but he was not right during these two starts. In his last three starts he ran two narrow seconds and a third in the richest WFA race ever run in Australia. Such was the quality of these three races that Carlton House, despite not winning, managed to bank $525,000 for his famous connections. Fancy running three places in a row, but still making $525,000. Carlton House was saved for the best races in Sydney where he was ultra-competitive. In his previous life in Europe it took the likes of So You Think to beat the entire, but he did win three quality races all the same. Carlton House was ultra-competitive in both hemispheres at the absolute top levels of racing; he is regally bred in every sense in the world, and it is exciting that we have such a brilliant son of the great Street Cry standing in Australia. Carlton House stands at Darley Stud in the Hunter Valley. In just two starts, Gai declared Fighting Sun one of the best colts she had ever trained. He won his first two starts very easily, then in the lead up to the Golden Slipper he injured himself and was off to stud. In his two starts, the colt beat plenty of subsequent Stakes winners and he did it on raw talent. He had plenty of room for improvement heading towards the Golden Slipper; a Slipper Gai felt she had at her mercy with this colt. Fighting Sun is completely free of Danehill. He is by Gai’s former Group One winner Northern Meteor and out of a Group One winning mare Irish Darling. There is no doubt that while he was winning sprint races, he eventually would have excelled once he reached the 2000m also. He was fast, is by a gun sire and has toughness bred into him throughout his pedigree, especially on his dam’s line. 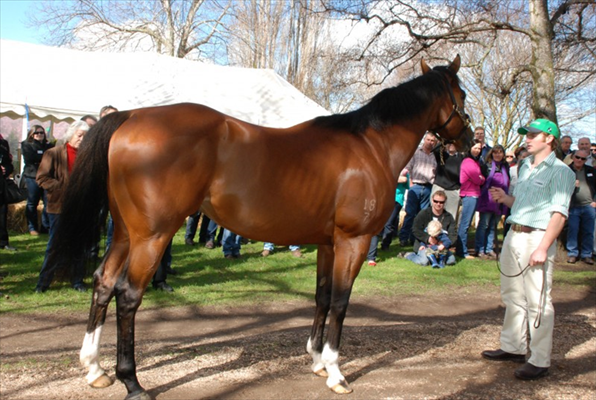 Everyone at Eliza Park and Tulloch Lodge are excited about this stallion and his yearlings which are not too far away. The champion entire really needs no introduction. He had just 11 starts in Australia and banked over $6 million dollars for his connects in the process. 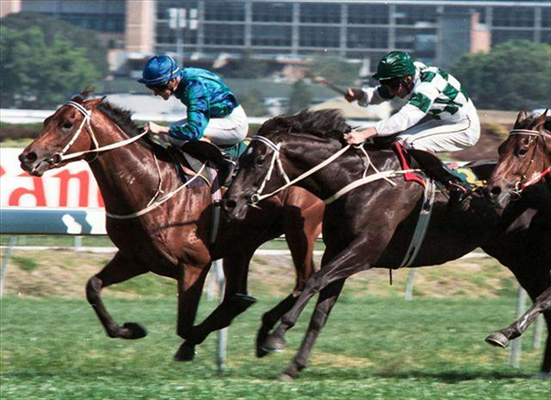 He won what many called ‘the strongest Melbourne Cup ever’ and he also won at WFA over a 1600m, 1800m and 2000m. One of his best runs was his second start in Australia. He was first up over 1400m in the Group One WFA All-Aged Stakes where he ran a slashing 3rd in a display of the speed that complemented his stamina perfectly. He could win first up and he could win at any distance on any surface. There is no reason why he won’t be a successful sire in Australia, considering that he was a middle distance horse that could stay and could sprint. He was a true all-rounder and will make an all-rounder at stud. 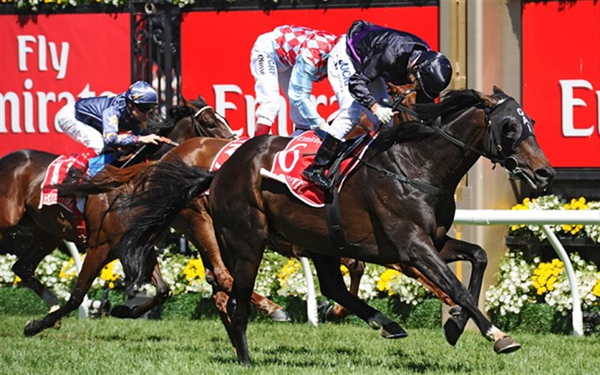 Fiorente is by the champion sire Monsun who has had Group 1 winners across at least six countries. 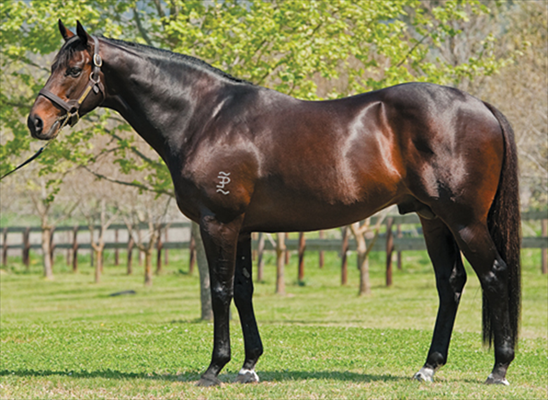 Monsun is fast becoming known as a sire of sires which reigns true in regards to Fiorente. Fiorente will be a brilliant all-round sire and if he passes his will to win onto his progeny, then we are in for a generation of champions. Fiorente stands at Eliza Park. War is by the champion sire More Than Ready and out of a Zabeel mare. On the track, the colt had just four starts for a win and a second. He ran second in the sire making Breeders’ Plate as a two-year-old, then as a three-year-old he won the Group Three Up and Coming Stakes. Interestingly Snitzel, Fastnet Rock, Exceed and Excel, Testa Rossa and Marscay all won the Up and Coming on their way to becoming great sires. War has brilliance on his sires’ side and stamina through his dam line. The colt stands at Blue Gum Farm in Victoria. The brilliant racetrack career of Pierro has been well documented on both gaiwaterhouse.com.au and throughout Gai’s Gazette. 14 starts, he never missed a place and he won five Group 1 races. The colt won over $4.5 million dollars on the track. What is sometimes over looked is the fact that had this stallion run for another season, he no doubt would have made a champion middle distance horse. He had all the speed and power as a two-year-old but his pedigree reads as if he were destined to become a champion at 2000m. Pierro’s sire line reads Lonhro, Octagonal, Zabeel, Sir Tristram. There is not a better staying / middle distance sire line in the Southern Hemisphere. On his dam’s side, apart from Sadler’s Wells, all Pierro’s relations have the (IRE) suffix after their names. This does not guarantee stamina but it certainly does help! 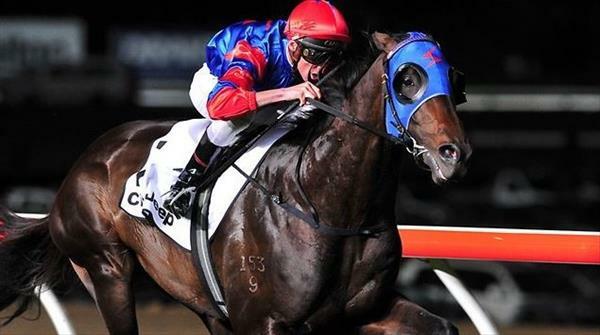 Results make the pedigree, and Pierro in his brief time on the track showed that a colt who may have been purchased for a Cox Plate could still dominate over the shorter trips. In his career in races under a mile Pierro easily beat Snitzerland, Samaready, All Too Hard, More Joyous, Mufhasa and Rebel Dane. All these horses have won Group 1 races at 1400m or under; many are multiple Group 1 winners. Pierro stands at Coolmore Stud in the Hunter Valley. Gai cannot wait to get the sons and daughters of one of her best ever horses into the stable. On the day when Black Caviar gave Hay List three lengths start and then ran past him at Randwick in the T.J. Smith, Needs Further won the Carbine Club. The people were there to see the Champion mare and she did not disappoint, producing perhaps her greatest ever display. 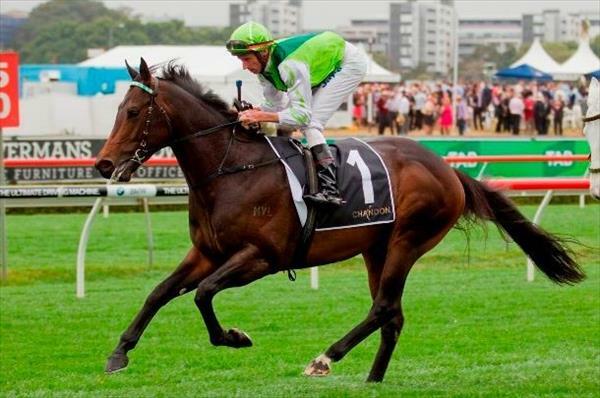 What is remarkable is that on this day, Needs Further in winning the Carbine Club, produced a faster final 200m than Black Caviar did a couple of races later. In this final 200m that was completed in 11.93 seconds, Needs Further got passed three Stakes winners including Group One winner Happy Trails. It was a career defining win and a brilliant display of speed. Needs Further is by Encosta de Lago and out of a mare named Crowned Glory. Crowned Glory was beaten an inch in the Golden Slipper by the brilliant Belle de Jour. 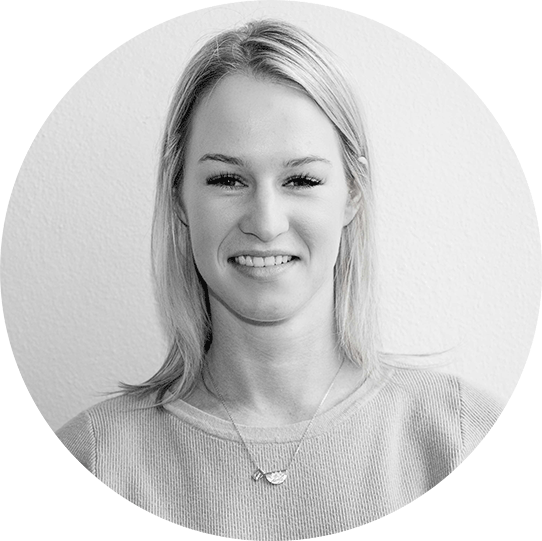 She is by Danehill which gives Needs Further royal blood on both sides of his pedigree. He is a very exciting stud prospect because he could run a strong mile himself, but he is from a family that is full of speed. Needs Further stands at Armidale Stud in Tasmania. Niagara stands at Lime Country Thoroughbreds in New Zealand and the Kiwis are thrilled. Niagara is by Encosta de Lago. But what makes Niagara special (as compared to others sons of Encosta de Lago) is the fact that he has Danehill on his mother’s side. This means that Northern Dancer, the immortal stallion that Australia really should thank for the quality of our racing, is on both sides on Niagara’s pedigree chart. Power, class and speed on both sides. Perfect. On the racetrack Niagara was not easy to get right, but when he was right, he was unbelievable. He was beaten at his first three starts, but during these races he seemed to not be trying as hard as he could. Then Gai decided to lead at all costs with the colt so as to give him galloping room and let him enjoy his races. The result… a six lengths win in a metropolitan race. 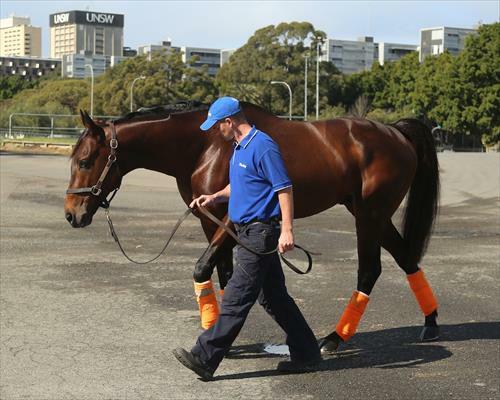 The colt now had his mind on the job and as such, he was sent to Melbourne for the VRC Derby. On a hot Derby day the colt had to be re-saddled behind the barriers and after this, his mind simply was wandering. 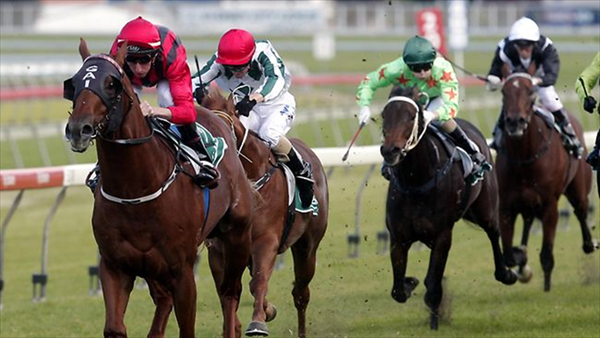 He backed up two weeks later to run a brave second in the Sandown Guineas. Back in Sydney for the following autumn, the colt thrashed a good field in the Group Two Ajax, again after leading. And that was it. The colt had his mind on a stud career and that is where he has ended up. He is an extremely exciting stud prospect. This colt won his first three starts. His first two were as a two-year-old and he won these city races by a combined six lengths. His third start was in the Group 3 Run to the Roses where he was a three-year-old but he clearly had not taken a step back. In the Group 1 Golden Rose (his 4th start), Squamosa was dealt barrier 14 of 15 and after crossing, he led only to be beaten by subsequent multiple Group 1 winner and fellow stallion Toorak Toff by around 5 inches. After a long spell, Squamosa returned and was placed straight into the open handicap June Stakes which he won by 5 lengths. This was the colt’s last ever win. He had his mind on other things after this race and now he is finally doing these other things. Squamosa never won a Group 1 race, but neither did his father, the champion sire More Than Ready, so this is but a passing strike on his racetrack career but will not influence his stud career at all. He is the grandson of Redoute’s Choice and the great-grandson of champion sires Danehill and Rory’s Jester. He is also the great-grandson of Bletchingly who brought us the immortal champion and perhaps best all-round horse Australia has seen in the last 50 years, the great Kingston Town. Squamosa stands at Eliza Park just north of Melbourne. One of the fastest horses to ever reside at Tulloch Lodge, Strategic Maneuver sadly only had two starts before he suffered a career ending injury. He won on debut by three lengths in good company and in an extraordinarily good time. After one more start he was gone. Gai declared that this colt was the fastest she had trained since Dance Hero and Sebring and considering the amount of colts that go through Tulloch Lodge every year, this is some compliment. This purebred colt comes from the same Northern Dancer line as many of the greatest stallions currently standing in Australia, but this is not where his pedigree ends. He is one of very few current sires that have the champion Vain on his pedigree chart. In fact the former speedster is bred on a similar cross to Bel Esprit. Yes Bel Esprit was a wonderful colt himself, but he is also of course responsible for Black Caviar. Strategic Maneuver currently stands at Bullarook Park Stud. A lot of horses are technically ‘well bred’ but perhaps no stallion currently at stud in Australia is a brilliantly bred as Manhattan Rain. This boy was born for a life at stud such is the quality of his blood. 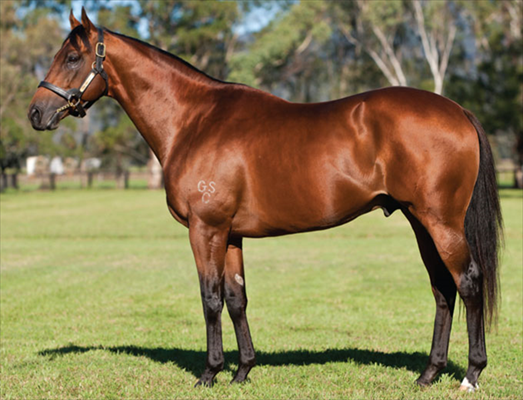 He is by Encosta de Lago who is the second most successful modern sire in Australia after Redoute’s Choice. But speaking of Redoute’s Choice, Manhattan Rain is out of his mother. It is almost as if this stallion has the best of both worlds running through his blood. By Encosta but a half to Redoute’s. It simply does not get any better than that. It is one thing to be brilliantly bred but it is another thing to be successful on the track. Manhattan Rain only missed a place twice in his 11 start career and these two races were the last two of his career when he was already thinking about the lovely paddocks at Arrowfield Stud. Before his last two starts, he was a Group 1 winner at two (the Sires’) and a Cox Plate runner-up at three. It took So You Think to beat him in the Cox Plate. Manhattan Rain currently stands at Arrowfield Stud in the Hunter Valley. The gun stallion Northern Meteor passed away in 2013 and it was a tragedy for the breeding industry. He was only at stud for a very short time and he has already sired 16 individual Stakes winners that includes five individual Group One winners in Zoustar (Northern Meteor x Zouzou), Cosmic Endeavour (Northern Meteor x Crevette), Amanpour (Northern Meteor x Newscaster), Shooting To Win (Northern Meteor x Listen Here) and Romantic Touch (Northern Meteor x Dearness). These numbers will continue to grow in the coming years as the progeny of this late great stallion are showing no signs of slowing down (Najoom for example!). Gai has trained three of Northern Meteor’s Group 1 winners and is by far the most successful trainer to date of Northern Meteor’s progeny. On the track, Northern Meteor started his career with the opposite of a bang. He ran a disappointing 7th on debut before getting back some respect with a 3rd at his second run. After a freshen up and a bit of Gai encouragement, the colt broke two track records at his next two starts before winning the Group 1 Coolmore Stud Stakes down the Flemington straight on Derby Day. After this win, the colt was aimed at the Newmarket and he almost became the first horse to win this race first up in close to a century. He ran a brave 4th beaten just a length. Then in his last start during the following autumn, the colt ran a sensational 2nd to the champion Takeover Target. Then he was off to stud. He was a purebred colt, he was dynamite on the track and his progeny are not just flying, but already becoming stallions themselves. Sebring only had six starts of which he won five. Two were at Group 1 level. When going for the Triple Crown as a two-year-old, Sebring was beaten in the Champagne Stakes by Samantha Miss by an inch. And that was it. It took a brilliant middle distance mare to get past him at the mile and really no other horse in Australia at the time even got close. Sebring has already brought us two multiple Group 1 winners in the now at stud Dissident (Sebring x Diana's Secret), and the world traveller Criterion (Sebring x Mica's Pride). Sebring is also already also responsible for many other individual Stakes winners that have won Stakes races over distances between 1000m and 2400m. What a display of versatility! Sebring stands at Widden Stud in the Hunter Valley. Dreamscape is one of the most exciting young sires in Australia. The horse who forever has the honour of being Dreamscape’s first ever Stakes winner is a colt named Bugatty. 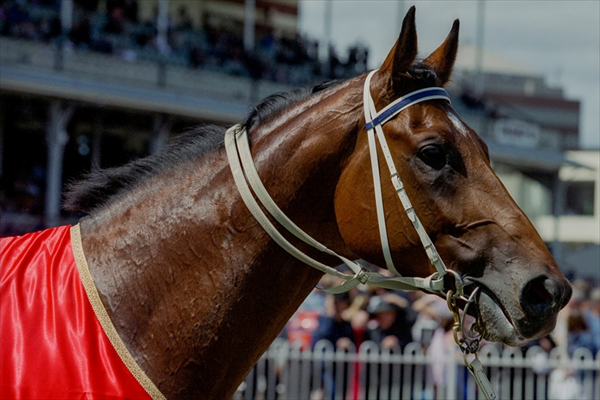 The Hawkes training team thought enough of this colt after his two-year-old Stakes win to run him in the open WFA Lightening Stakes against the best and fastest sprinters in Australia. The colt ran really well also beaten just five lengths by Snitzerland. On the track Dreamscape was a ripper. 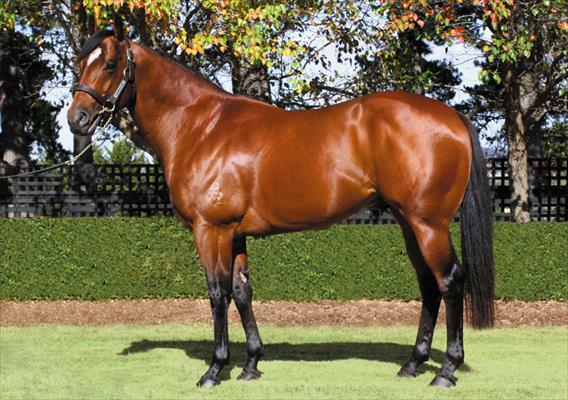 He won the Group 3 Up and Coming Stakes on debut and in the process beat a fellow sire and Group 1 winner Duporth. Two starts later the colt won the Stan Fox. First up in his second preparation Dreamscape beat Rangirangdoo to win a good race at Randwick then second up in his third and last preparation the colt beat two Group 1 winners in the Liverpool City Cup. He was a bold front runner that was very strong to the line and he is definitely passing on his strength to his progeny. Dreamscape currently stands at Lucas Bloodstock's stud farm in Queensland. During the late summer of 2007, Mutawaajid was the boom colt of Australia. After an unbeaten two-year-old season, where the colt started at an average price $1.30, he returned as a three-year-old and beat eventual Stradbroke winner Snipers Bullet in the 1200m Royal Sovereign. The colt then accounted for the champion Queensland filly Gold Edition in the 1400m Hobartville. After the Hobartville, the colt had his mind on other things and although he remained competitive for a further 12 months (including two 4th places in Europe), his stud papers were already well and truly stamped. During his time at Emirates Park, including Boomwaa who was a Stakes winner at two. Tumbarumba Road, Wagga Wagga, NSW 2650. Phone (02) 6922 1559. Not only is Al Maher the most underrated sire in Australia, but people often forget that he was a gun on the racetrack also. He only ever had 11 starts but they resulted in five wins and three places. His best win was the Group 1 Australian Guineas at Flemington over a mile. He also won a deep race as a two-year-old and two additional Stakes races as a three-year-old. He is by Danehill so his pedigree needs no introduction, but what does require more research is the remarkable success Gai has had with this stallion’s progeny. Gai is by far the most successful trainer of the progeny of her first Australian Guineas winner having trained the first three Group 1 winners produced by Al Maher. 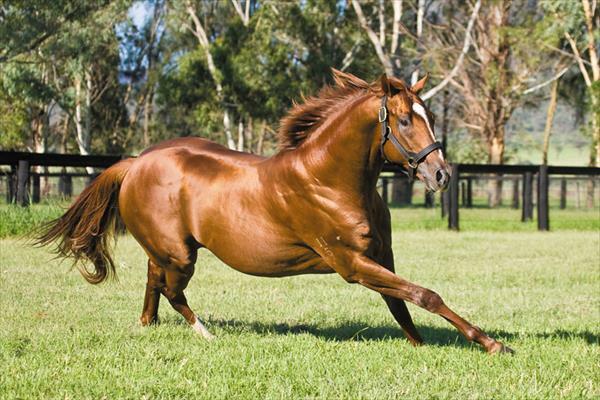 Remarkably, the underrated stallions first three Group 1 winners Almalad (Al Maher x Ilhaam), Fat Al (Al Maher x Fatoon) and Diamond Drille (Al Maher x Damzelle Pedrille) were not only all trained by Gai, but they won their Group 1 races over the mile… the same as their sire! Al Maher stands at Emirates Park in the Hunter Valley and Emirates Park and Tulloch Lodge have had a very long and prosperous relationship. There is no doubt that Gai can get the best out of the Al Maher bred. Pure statistics back this up faultlessly. Platinum Scissors was a gun racehorse. He really was very very good but we perhaps did not see the best of him. He is as purebred as you can get, by Danehill, out of Shantha’s Choice. Shantha’s Choice is the mother of Redoute’s Choice and also Manhattan Rain. Therefore Platinum Scissors is by probably the most successful sire in racing history and a half-brother to the most successful sire (apart from Danehill) Australia has seen in thirty years in Redoute’s Choice. Yes he is indeed a purebred. On the track, Platinum Scissors won the Group 1 Champion Stakes at Randwick and the next start he won the Norman Robinson at Caulfield. In two attempts in the time honoured spring race the Chelmsford Stakes, Platinum Scissors was beaten into second twice by the champion Lonhro and on no fewer than four occasions, the stallion finished in the top four behind Lonhro and Grand Armee. Both Lonhro and Grand Armee sit comfortably in the top fifteen highest money earners in Australian racing history and Platinum Scissors could mix it with them and with a little luck he would have recorded wins over these two champions. As an older horse, Platinum Scissors won the Newcastle Newmarket over 1400m and the Group 2 Hollindale Stakes on the Gold Coast over 1800m Platinum Scissors was retired from stud in 2009, but not before Gai saddled up one of the most successful sons of the great racehorse, a gelding named Merensky Reef (Platinum Scissors x Suitely) for four wins. It is very hard to keep a colt interested into its three-year-old season once it has been a star at two. Rarely do colts thrive at two, then win straight away in the spring at three. 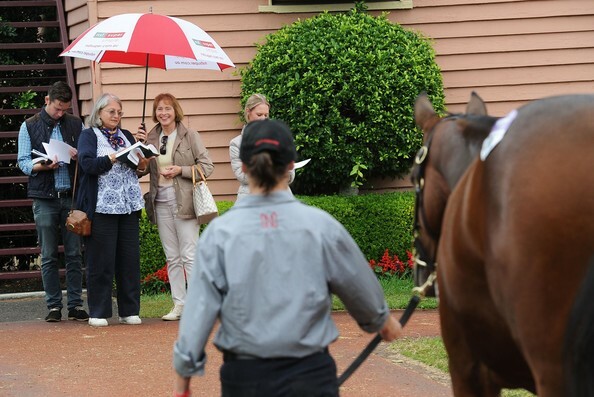 Well Gai Waterhouse has made a career out of it, keeping colt’s minds on the job in-between the end of their two-year-old season and the start of their three-year-old season. Snowland kicked off his career like hundreds of others have for Gai, in the Breeders’ Plate. He was beaten and it was disappointing, but the disappointment eventually evaporated because the horse that got passed Snowland in the Breeders’ Plate was Choisir! After this defeat by an out and out pioneering champion, Snowland won the Canonbury by four lengths just seven days later. 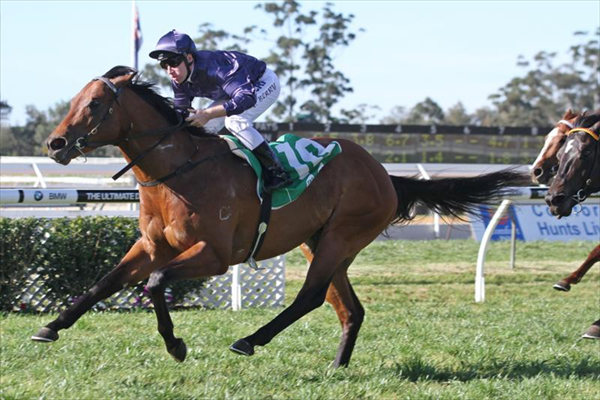 After a brief spell, Snowland came back and quickly went about winning five two-year-old races including the Gosford Slipper, the Kindergarten and the Todman. After competitive runs in the Slipper and Sires’, the colt went for a break. But as above mentioned, here is where the quality of the colt and of the trainer came to the fore. Snowland trialled on the second day of his three-year-old season and within six weeks of turning three he had won a Group 3 and a Group 2. The colt then was spelled for the remainder of the spring and it appeared that maybe he was off and gone, ready for life in the breeding barn. But no, not yet! He again came back in for his three-year-old autumn and the preparation culminated in Snowland winning the Group 1 Galaxy. 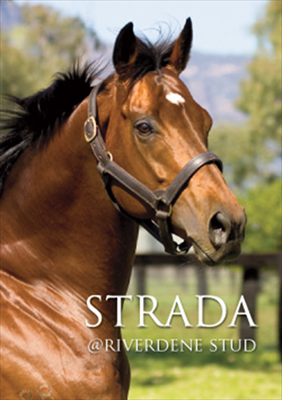 At stud he has produced 38 individual winners for a total of 111 wins. Gai is the most successful trainer of Snowland’s progeny in Australia having trained six individual winners for a total of 14 wins at a winning rate of 27%. The best Waterhouse trained Snowland was probably Wild and Proud who beat two Group 1 winners Moment of Change and Manawanui in the 2012 Group Two Hobartville. Just before going toe to toe with the immortal Might And Power, the flashy colt Blue Gum had won his first five in a row. With Gai Waterhouse written in bold letters in the race book as the trainer and T.J. Smith making an appearance in the owner’s column, would you expect anything less than excellence? Despite the stallion doing his best work as a three-year-old Blue Gum remained competitive at the top level as an older horse. 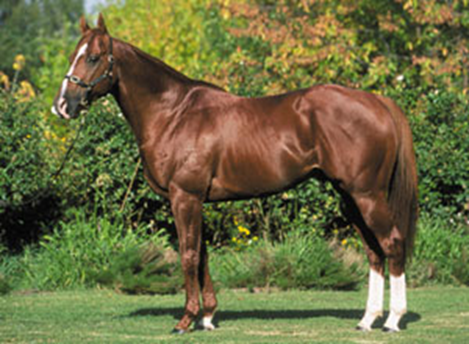 The entire was sold to stud in 2001 down in Tasmania where he has sired plenty of individual winners including the Tasmania iron mare Springfield Rose (Blue Gum x Otago Rose) who either won or was placed on 35 occasions. Gai’s formula for training two-year-olds has barely changed since the day she got her licence. The number one rule for two-year-old colts that pass through Tulloch Lodge is that they should be up and running during the spring in an attempt to win the Breeders’ Plate. 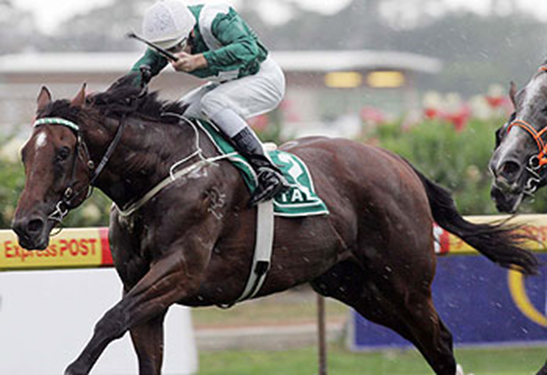 High Rolling did not just win the Breeders’ Plate in 1998, he bolted in! High Rolling was the first colt Gai trained to win the Breeders’ Plate, and a blue print for what was to come (Gai of course has won the last four editions of the Breeders’ Plate). 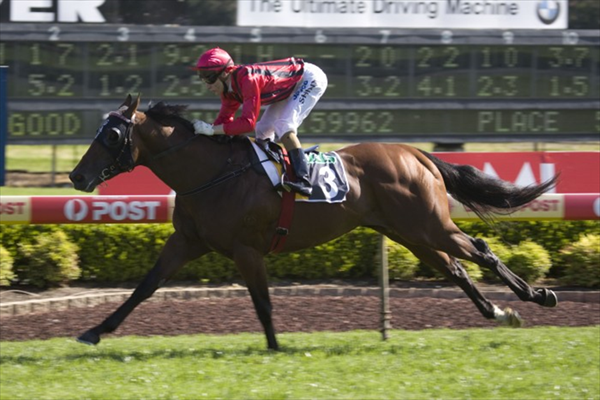 After coming back from his successful spring two-year-old campaign, High Rolling was narrowly beaten in the two Slipper lead-ups the Pago Pago and the Skyline. He was beaten in both by the gun miler Shogun Lodge. As a three-year-old the colt went on to win Gosford’s best race and he even ran a great third in Australia’s best sprint race, the T.J. Smith. High Rolling stood at Riverdene Stud in Wagga Wagga for many years where his 121 individual winners recorded a total of 388 wins. 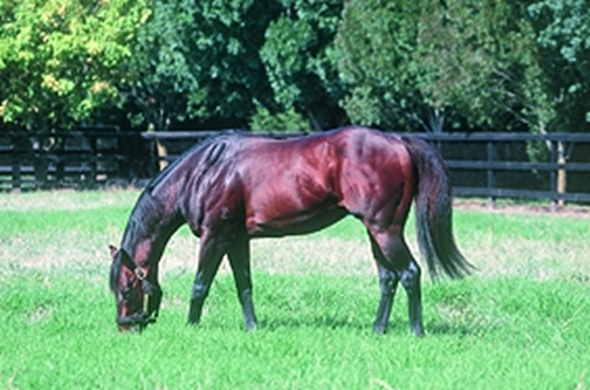 The progeny of this stallion seem to keep winning once they break through with the statistics indicating that at least 20 of his individual winners having won at least five races. In an area of champions, Nothin’ Leica Dane mixed it with the best the country had to offer. He beat Octagonal in the VRC Derby, and then ran second in the Melbourne Cup as a three-year-old three days later. No three-year-old has won the Melbourne Cup since 1941, but this gelding went awfully close. At stud, Nothin’ Leica Dane was very versatile. He sired over 200 individual winners and he brought us the champion sprinter / miler and multiple Group 1 winner Hot Danish (Nothin' Leica Dane x Hot 'n' Breezy) and the gun staying mare and Group 1 winner Cinque Cento (Nothin' Leica Dane x Laydown Misere). Nothin’ Leica Dane has Danehill, Sir Tristram and Northern Dancer listed along his sire line and there have not been three more generation defining stallions in the last 50 years in regards to Australian horses. Nothin’ Leica Dane was retired from stud duties in 2014. 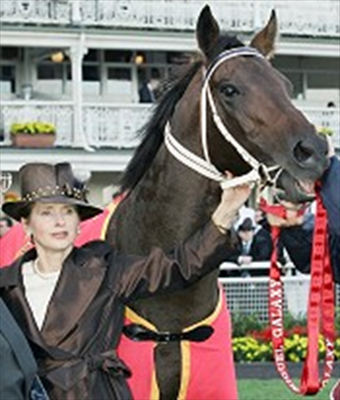 On 5 October 1996 Gai trained a colt named Adventurous to win the Craven Plate at Randwick. This race is a Group 3 and it has been won by most of the best stayers Australia has ever seen including immortal champions The Barb, Carbine, Phar Lap and Peter Pan. The race has also been won by middle distance champions Gloaming, Tulloch and Flight. To be on the trophy with these champions is one thing, but on this day in spring 1996 in the Craven Plate, Adventurous managed to beat Saintly. Over the next month Saintly won the Cox Plate and the Melbourne Cup to be one of only five horses to ever complete the Classic double. What a win from Adventurous and a real indication of what the colt was capable! Adventurous stood at stud at Craiglea Stud for many years and sired 50 individual winners for a total of 173 wins; he will be forever remembered through the halls of Tulloch Lodge for his epic win in the 1996 Craven Plate. Magic of Sydney was the kind of versatile colt that was always going to be successful at stud. He won as a two-year-old over 1200m then was narrowly beaten in the Group Two Pago Pago. However in the Pago Pago he did finish 2nd and the great Intergaze finished 3rd. As a three-year-old Magic of Sydney who was by the Danehill, won the Ming Dynasty over 1400m, the Gloaming over 1900m and the Group 1 Spring Champion Stakes over 2000m. This son of Danehill sired 82 individual winners for 236 wins that were shared between New Zealand and Australia. When Gai acquired the stallion Secret Savings from the United States, a few members of the esteemed racing media thought the Lady Trainer had gone mad! After all he had not done much at Stakes level in the United States. Perhaps the media had a point, but that was only until Secret Savings won a Group 3 at Rosehill on debut Down Under at 50-1. He then won the Newcastle Newmarket before running a brave 3rd in the George Ryder. Two weeks later Secret Savings, just a month after his Aussie debut, won the Doncaster. Not only did the stallion win the Doncaster, but Gai trained the quinella (All Our Mob ran 2nd) and the win gave the Lady Trainer four consecutive victories in the great race. Secret Savings had done his job and was retired to stud after his Doncaster win in 1997. 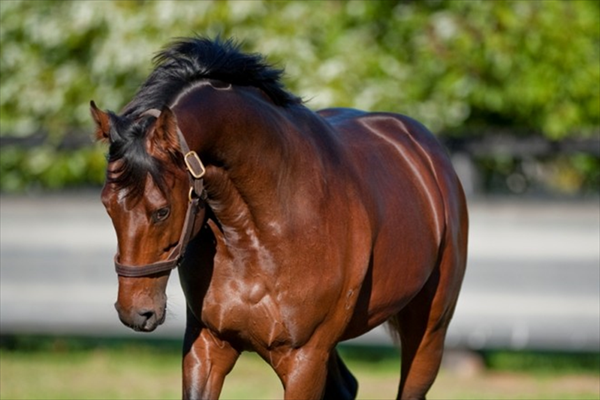 Secret Savings sired a total of 182 individual winners that resulted in a total of 711 victories. The grand stallion and Emirates Park stalwart sadly passed away in 2009. However his legacy will never be forgotten especially at Tulloch Lodge. He after-all sired the brilliant Waterhouse trained three-time Group 1 winning mare Shamekha (Secret Savings x Lifetime Story). This mare remains very close to Gai’s heart considering she not only provided great thrills on the track, but she herself has produced two individual winners for the Lady Trainer. Secret Saving also brought us Dash For Cash (Secret Savings x Gulistan) who together with being a multiple Group 1 winner is now a big success at stud having sired plenty of individual Stakes winners himself. There are an additional nine very good horses that have won Stakes races that owe their success to their father Secret Savings. He was a marvel both on the track in the breeding barn. He will never be forgotten.